German New Medicine Practitioners | Guidance | Support | Discussion. 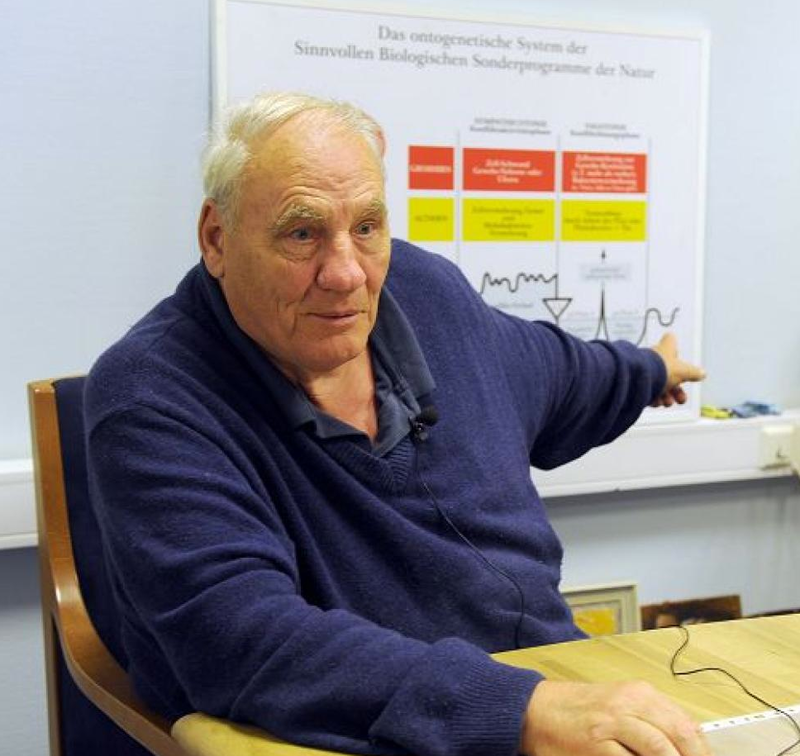 The New Science of German New Medicine ® makes sense of illness, perhaps for the very first time and authenticates that disease is not a mistake of nature, but rather an intrinsic part thereof. It affirms something deep within us, that we’ve always known. Namely, Mother Nature is not fallible and continuously susceptible to break down. German New Medicine ® is often lumped into the generic mind-body category or discipline. German New Medicine ® is not about your thoughts creating a cancer or your feelings manifesting as this-and-that disease. It is not an approach of negativism that one’s “stinkin’ thinkin” must have created this or that. To elicit a cure we don’t have to manipulate genomes, reduce inflammation, alkalize the water, find the next ‘smart’ drug or war against anything whatsoever. The answer is revealed by understanding what catalyzed the disease response on the cellular level. The Reflexive Brain and a Biological Catch 22. German New Medicine ® reveals that disease and illness commence when a biological (not psychological!) conflict initiates an emergency adaptation response designed to assist an individual. In German New Medicine® the use of the term conflict is very different from that of its use in psychology. A psychological approach involves the mind, a biological approach involves the Reflexive Brain. In German New Medicine ®, a conflict is a Biological “Catch-22.” A trauma, shock, difficulty, dilemma or conundrum which the individual must overcome in order to insure it’s biological integrity or survival. The “Catch-22” lies in the reality that the biological conflict cannot, at least at that moment in time be resolved. A stalemate of sorts ensues, but like any good stalemate something has to give, so nature intercedes to take the ‘weight’ of the distress off of the psyche and shift it to the body (organ). The ‘weight’ is translated into a compensatory, emergency adaptation response that expresses on the cellular level – that the body is able to run or process over time. This is nature’s way of satisfying Abraham Maslow’s need for self preservation as the translation from the consciousness to the body (organ) buys time for the possibility of a conflict resolution. Upon a slight movement of the kaleidoscope, a meaningful adaptive program is revealed, created to assist us in resolving the difficult biological “Catch-22.” The special biological program and the accompanying emergency adaptation response is what we commonly understand as disease. Dr. Neal Robert Smookler resides in the United States where he has, for the last thirty years maintained full-time practices in Boston, Wellesley and Hopkinton, Massachusetts. He provides guidance and support worldwide via FaceTime, WhatsApp and Skype. Wayne Dyer, John Sarno, Dr. Deepak Chopra and Esther Hicks (Abraham) among others, have all illuminated the mind-body link. Louise Hay, best known for her 1984 book, Heal Your Body, gave us the rough guide – however, until the advent of computerized tomography in the 1980’s, there was no scientific proof. Today, every connection can be documented from a brain scan with a perfect predictability. The German New Medicine® provides us with the exact biological conflict wired to any organic program (disease) – from the common cold to cancer. Dr. Ryke Geerd Hamer is so highly accurate that we know exactly in what direction to guide the discussion. German New Medicine ® explains these connections and how we might unplug or disconnect them, while providing us a scientific and empirical blueprint for the accurate cause, exact course and predicted amelioration of nearly all disease, including it’s biological (significant) purpose! No longer is illness something that just happens to us by chance, the disease randomly striking it’s victim(s) – we now have an understanding of the why’s and the wherefore’s as well as the ability to reframe it’s ominousness. A Tapestry of One Hundred Threads. Since the identification and the psyche’s release of the conflict is essential to recovery, during a consultation we direct our focus to the specific moment in time that the biological program was set into motion. Protocol in German New Medicine® involves a form of an “investigative” dialogue or emotional “detective work” specifically directed to search the consciousness and unearth the biological conflict. By understanding the exact moment in time when the biological conflict was experienced and consciously making all the connections – the emergency adaptation response (disease) is released by the psyche. Bringing to light how your consciousness has perceived the tonality, flavor of a biological conflict and the manner to best unravel it, is ever so vital. Cozy Studio for GNM Consultations. At times, the biological conflict is below our conscious awareness. The ability to percolate it up from the subconscious while maintaining the safety and security of the client is paramount. Cases that may appear black and white, more often present as a complex tapestry consisting of dozens of colored threads. It is in the isolation and contextual understanding of that one subtle hue where the conscious mind is finally able to release the conflict. When you find the exact right hue or ‘shade’ of the conflict, perhaps for the very first time – it is released enabling the emergency adaptation response or special biological program (disease) to come to a natural completion. A German New Medicine ® dialogue can be a complimentary adjunct to your integrative healthcare provider. A German New Medicine ® session will hopefully induce an open conversation between you and your physician. If your doctor(s) is congruent with the session observations then, and only then, can those involved formulate a course of action. Please make sure that your medical team is in agreement before making any final personal health decisions. The information and services contained herein should not be construed as a diagnosis, treatment, prescription or cure for disease. Consultations are limited to a form of a conversational dialogue specifically directed to search the consciousness and unearth the moment in time that the unique biological conflict-shock was experienced. Any medical and or psychiatric advice or its application is left to the members personal physician and or medical team. Please know that consultations cannot include professional medical, surgical, psychiatric advice nor its application. We are not diagnosing nor treating disease. We are discovering the moment in time you experienced a biological conflict. Those seeking a diagnosis and or treatment for a specific disease should consult a licensed, qualified medical physician in order to determine the proper, correct and accepted treatment protocol before using anything that is disclosed on this site. We are in no way presenting, representing or implying German New Medicine ® nor it’s application to be a replication of allopathic medicine. Although we continue to use the designation German New Medicine, The New Medicine and or Le Medicina Sagrada – it is in name only. This is to acknowledge the discoveries and contribution(s) of it’s founder, Dr, Ryke Geerd Hamer who was a medical physician. Dr. Smookler’s application of German New Medicine ® is quite different from the original application and is no longer applied as a form of traditional western medicine nor psychotherapy. This is an important distinction. Dr. Smookler is NOT medical doctor, his doctorate is reflective of his chiropractic background. Therefore he restricts his scope of GNM application to helping the client understand the connection between the moment of conflict-shock and the associated biologically adaptive program. The Association (see below) asserts that fellow members always continue to consult with their physician(s) or find a physician(s) if they are not currently under a physician(s) care. Your physician should be made aware if you are working with German New Medicine ®. Our protocol differs significantly from that of our select contemporaries as we never encourage a member to abstain from or stop conventional medical treatments. Please visit our Legal page for more information. Alternative healthcare, as many of you may know has come under the scrutiny and attack of the State’s Police Power to protect the public. Government agencies such as the AMA, FDA, FTC and licensing boards have a mandate to protect the “public” but have very limited jurisdiction over First and Fourteenth Amendment Private Membership Associations. By joining a private association we, by contract, change our status from a public jurisdiction to a private one. Our public patient or client status is legally changed into a contract member of a private membership association. Under the First and Fourteenth Amendment of the United States Constitution and equivalent provisions of your State Constitution, you have the right to associate with fellow members and offer benefits and services that are outside of the jurisdiction, venue and authority of State and or Federal agencies. What could come under scrutiny and in some cases be considered a criminal act outside the association can be perfectly legal within the protection of a private association. This right of association is not absolute; the United States Supreme Court has ruled in many cases that the State cannot interfere with private association activities unless the private members are being subjected to a substantial evil that would shock a person’s moral and common sense. However, if there is no substantial evil and although the services of the private association may be controversial, unpopular, unconventional or lack proper endorsements and approvals, the United States Supreme Court has overwhelmingly ruled that a freedom of assembly and association cannot be violated. By being a private healthcare membership association, we are free to serve our members, with the help they so desperately need. Joining a private membership association is a small price to pay for such a wonderful freedom – the freedom to take charge of your own health.